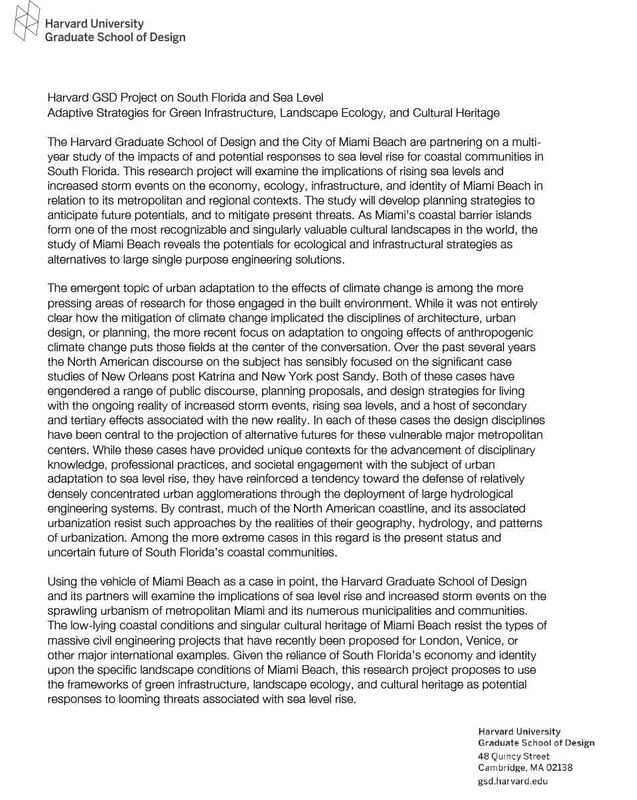 Roberto Rovira will be speaking in Harvard GSD’s Project on South Florida and Sea Level, Adaptive Strategies for Green Infrastructure, Landscape Ecology, and Cultural Heritage Colloqium. 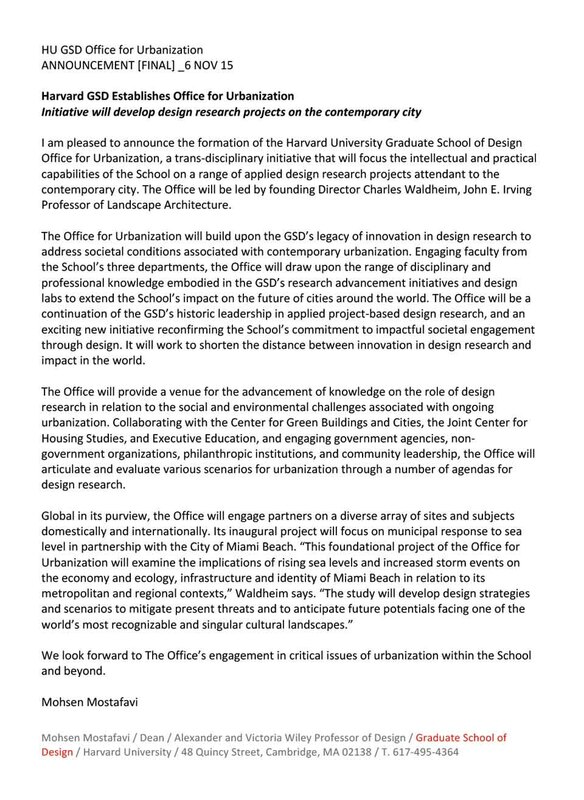 The colloquium will take place at Florida International University’s Miami Beach Urban Studios at 420 Lincoln Road between 10 am and 6 pm on Tuesday, 23FEB2016. The Harvard Graduate School of Design and the City of Miami Beach are partnering on a multiyear study of the impacts of and potential responses to sea level rise for coastal communities in South Florida. This research project will examine the implications of rising sea levels and increased storm events on the economy, ecology, infrastructure, and identity of Miami Beach in relation to its metropolitan and regional contexts. The study will develop planning strategies to anticipate future potentials, and to mitigate present threats. As Miami’s coastal barrier islands form one of the most recognizable and singularly valuable cultural landscapes in the world, the study of Miami Beach reveals the potentials for ecological and infrastructural strategies as alternatives to large single purpose engineering solutions.